I am glad I had some time off for Labor Day, but the horrendously sad fire at Brazil’s national museum (which destroyed the irreplaceable treasures of that enormous nation) and the continued dumpster fire of incompetence and corruption in Washington sort of make me feel like I shouldn’t write about a happy subject. Therefore, I am going to link to a very profound article in The Atlantic by Annie Lowrey…about the business and economics of small chicken farms! When I say small…I mean “small business”: these are the nightmarish factory farms you read about with tens (or hundreds of?) thousands of chickens stuffed into tiny spaces. Although the factory farms are locally owned by individual farmers with small staffs they receive the chicks from enormous international poultry companies and sell them back ready for market. These chicken contractors receive subsidies meant for small farmers, but they are really appendages of huge monopolistic food cartels which are generally the only buyer the chicken rancher can count on. The small farmer assumes the financial (and legal) risk for running a dangerously skinflint and ethically dubious operation. He is constrained at every turn by binding contracts, extensive rules, and the threat that the giant business will not buy from him or will otherwise dump him. Then he sells at slim, slim margins to a single customer (single payer systems can seriously curtail prices, as any WalMart supplier could tell you). You can read the article to get all of the details, but the picture which emerges is of a world where huge corporate cartels collude to fix prices for their buyers and then likewise collude to make sure their suppliers take all of the risks. The article also presents a counter-statement from the monolithic food cartels. Needless to say, the big corporations do not present themselves as terrifying monopolies which are fixing prices and asphyxiating all competitors as they torture and pollute. Yet the mealymouthed platitudes of their corporate mouthpieces do not much convince the reader that the poultry titans (Purdue, Tysons, et al.) are anything other than rent-seeking cartels operating beyond the law. The article also suggests that this situation is quickly becoming the norm beyond chickens…in every other walk of economic life. The take-away from this troubling story of America’s chattel chicken farmers is the same take-away from a deep dive into almost any large industry: this nation’s big businesses are completely out of control. We need the ghost of Teddy Roosevelt to come back and lop off some heads and cut some of these fat strutting capons into quarters. Well, this week has been a good week for me socially (since I have had multiple fun events) and a bad one for me physically (since I have had a cold all week). The upshot is that I have not gotten as much blogging done as I would like. Fortunately, there will be plenty of time to relax and enjoy things in the afterlife…or at least we can enjoy anything that was buried in ceremonial symbolic form with us in our lavish tombs. Well, anyway, that is what the people of the Han Dynasty (206 BC–220 AD) believed [it was a big improvement from certain early kingdoms where they dispensed with the “symbolic” part and just buried aristocrats with all of their favorite concubines and servants]. These spirit objects/grave goods are known as “Mingqi” and they make up a plurality of Han objects in museums and cultural collections. Of course, the afterlife would be empty without the most reliably delicious of all animals—so here, partway through the year of the chicken, is a Han dynasty symbolic ceremonial burial chicken which some well-heeled chicken lover took with them when they went away forever. The chicken was made of simple baked earthenware and 2000 years of grave conditions have not altered its delicate facial features for the better, but the elegant winsome lines and perfect bold form leave no question about who the masters of ceramics have been from the time of Rome to the present. There is no news about whether the original owner is now stuck in a poultry-free afterlife since his chicken Mingqi was carried off by some ancient robber or modern archaeologist. 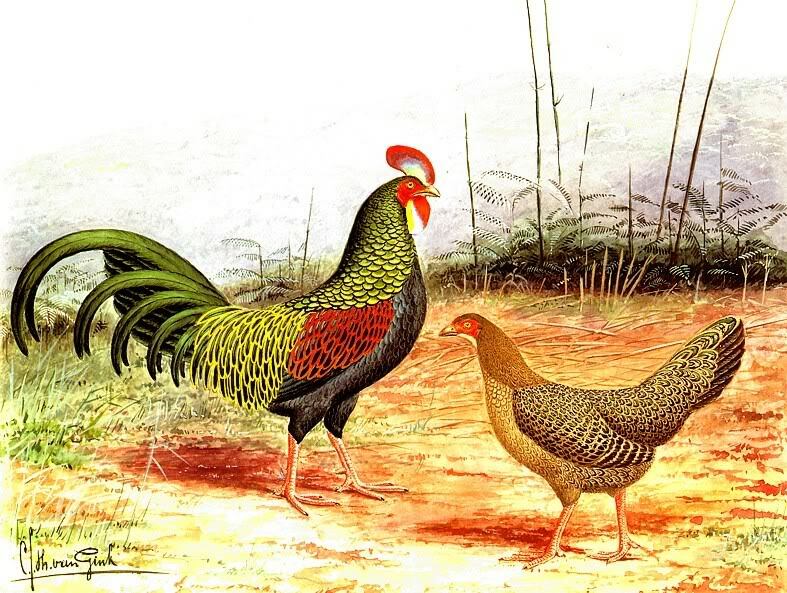 On Tuesday we wrote about the Red junglefowl, the wild ancestor of the domestic chicken. To progress further with this Stendhalian color theme, here is a human-made chicken, crafted by means of artificial selection over the centuries—the Ayam Cemani—the back chickens of Java. These amazing birds are all black. I mean they are really black…so exceedingly black they make Kerry James Marshall weep with aesthetic envy. Not only do Ayam Cemani chickens have black feathers, black faces, black beaks, and black wattles, their very organs are black. Even their bones are as black as India ink. It would be downright disconcerting… if they didn’t wear it so stylishly. The birds’ black color is a sort of reverse of albinism—the Ayam Cemani chickens have a surfeit of pigment. This is genetic condition is known as fibromelanosis. For generations and generations farmers have selected it until they have produced this rooster who looks like he stepped into the barnyard from the event horizon of a black hole. Yet the Ayam Cemani is not completely black…they have red blood and they lay cream colored eggs (although they are unreliable sitters, so without fashionistas looking after the survival of the breed, they might vanish real fast). Speaking of which, why did the Javans collectively make such a crazy striking animal? The internet says that the chickens are used for ceremonial purposes and for meals, but it looks like an amazing work of intergenerational conceptual art to me. If you want you can get some for yourself, but unless you are headed to Java, they are rare and cost thousands of dollars in the United States (if you can find a seller). It looks like it might be money well spent though. These are stunning roosters. Let’s hope the year of the fire rooster is as stylish as they are (but maybe not quite so dark). There are four living species of the genus Gallus. The most familiar (by a ridiculously vast margin) is Gallus gallus—the red junglefowl, aka the chicken! Yet there are some other sorts of junglefowl still out there living in the primordial jungle. 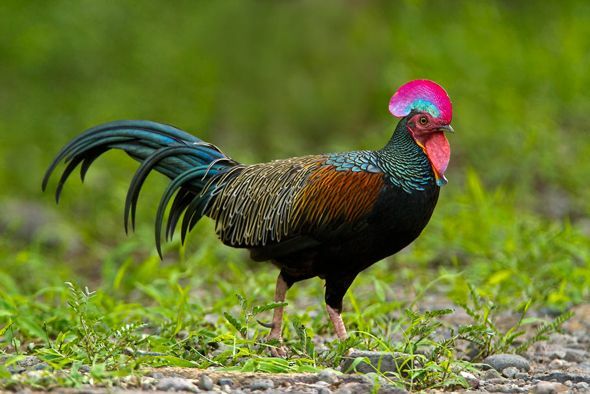 My favorite (for purely aesthetic reasons) is the green junglefowl (Gallus varius), also known as the Javan junglefowl, the forktail or the green Javanese junglefowl. 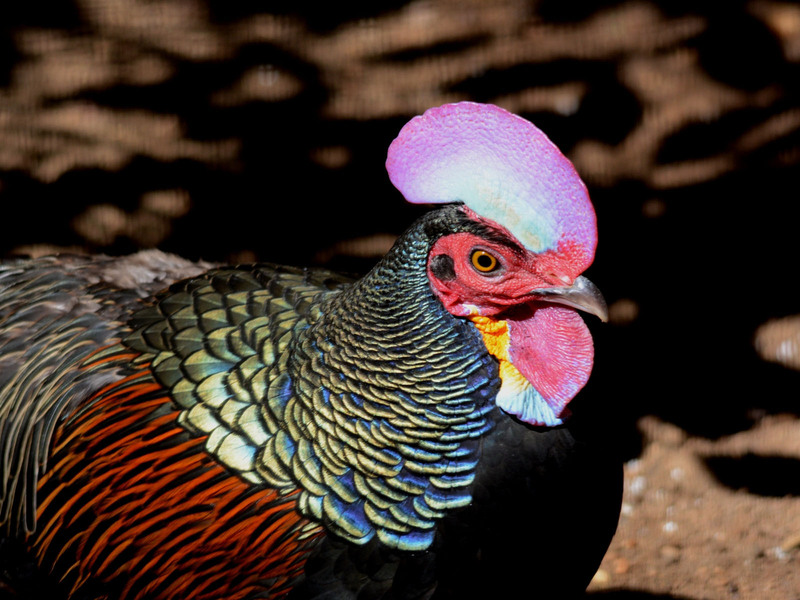 Like the red junglefowl, the green junglefowl lives in tropical and semitropical forests and scrubland. It is an omnivore, living largely on seeds, grain, and fruits which it supplements with whatever insects, arthropods, lizards, snakes, and tiny rodents it can catch. The green junglefowl lives in Indonesia on the islands of Java, Bali, Lombok, Komodo, Flores, and Rinca (and on some smaller islands near to these large landmasses). The birds live in small flocks of two to five. Usually a single male lives with a few females which he protects with his sharp spurs and fast beak (although these are poor protection against Komodo dragons and tigers…to say nothing of Indonesian humans). At day the junglefowl forage through the forests. At night they roost about 15 feet up in small trees or bamboo. They are slightly better at flying then the red junglefown of South Asia. Males fight (sometimes to the death) over hens. 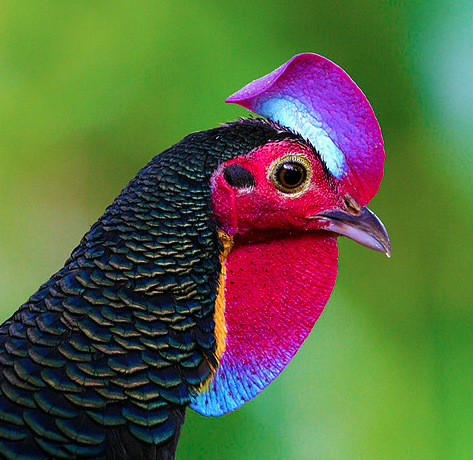 These birds of the Indonesian jungle are shockingly beautiful and yet also oddly reptilian and alien. The undomesticated chickens are a reminder of just how strange our familiar farm animals really are. Although, in some ways the green junglefowl are swiftly becoming green chickens. They keep interbreeding with domestic chickens to form a peculiar hybrid—the bekisar. I have been living on rice and pulses for weeks (pulses=lentils, split peas, red beans, pink beans, black beans, pinto beans, chickpeas…you get the idea). These foods deserve their own posts, not just for keeping me alive in this narrow stretch, but because they are also some of the first crops of humankind (and our history with them goes back way longer than that). However, as much as I love my chili and curries, tonight I couldn’t bear to look at the crock of chana masala. Plus I somehow managed to complete my training as a new employee of [Redacted], the regimented and tight-fisted financial firm where I am improbably quartermaster, and I felt like celebrating the fact that I made it through a (mostly) full week of grueling work alive. 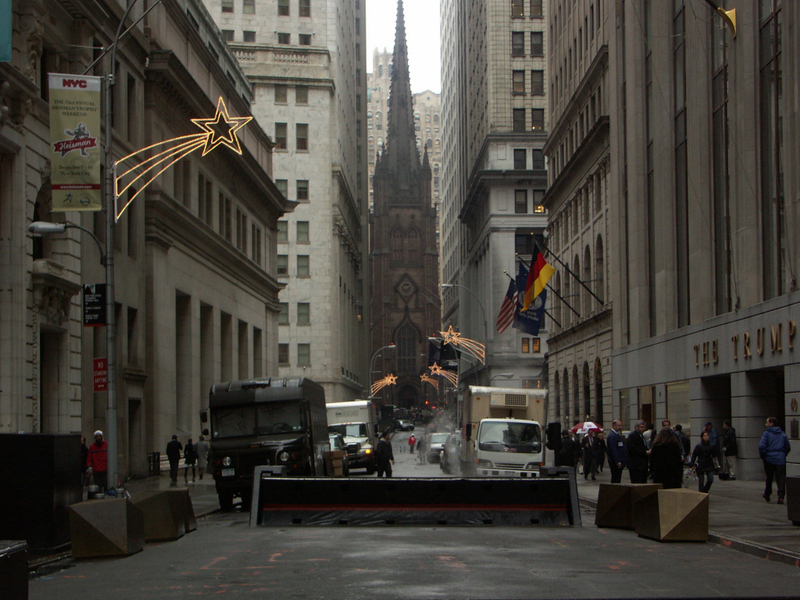 Uh…is this a post about the glamor of working on Wall Street? So I gathered up my nickels and bought one of the cheapest meats available at the supermarket to make a strange poultry feast. Now this is one of my favorite meals, but it is kind of a monster’s dinner–and it is definitely made of meat! 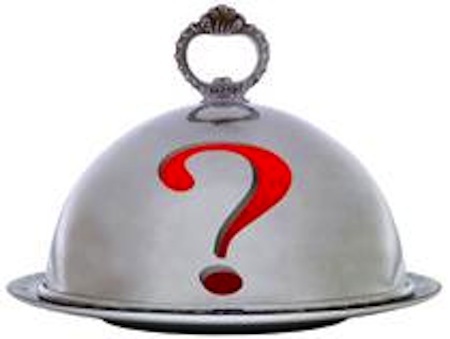 My readers who are vegetarians…or even just squeamish may want to skip this cooking post [ED: Why is a recipe post even here?] and come back tomorrow for Fourth of July stuff. OK, we are making delicious chicken livers with onions in creamy marjoram vermouth sauce! I usually eat it on a bed of yellow rice, but it is really a French meal and it also works well on buttery mashed potatoes, if you want to make those. The key to the meal is fresh undamaged livers without gall bladders…but your only clue in the supermarket is color so this is sort of a Russian roulette meal. 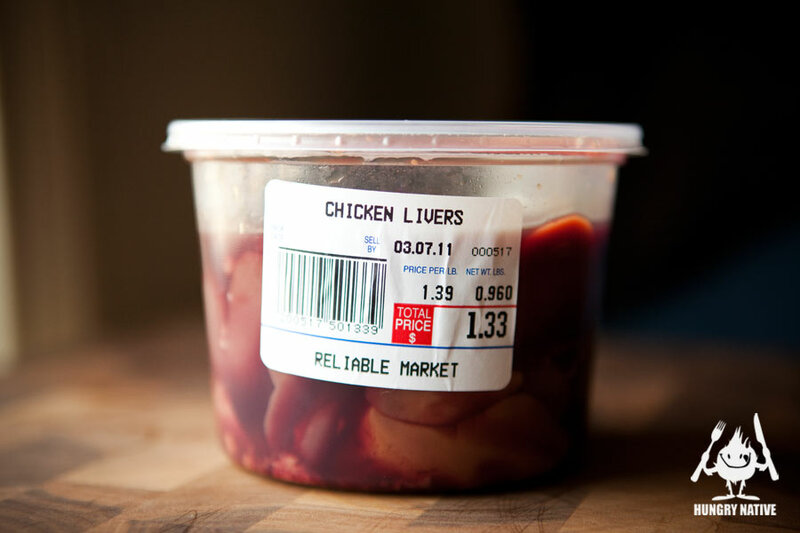 Just buy the freshest looking chicken livers and you’ll probably be fine. Drain the chicken livers (which, rather unpleasantly, come floating in a little plastic cup of chicken blood) and dredge them in a deep plate of plain flour with a pinch of salt mixed in. I threw away one of the livers that looked like it came from a chicken with a serious drinking problem, but all of the livers smelled good (if they smell rancid or bilious, you uh probably need a new batch). Keep the bloody flour—you’ll need it! Grease a large solid frying pan with a bit of olive oil and start frying the livers on medium heat. A lid really helps if you have one! 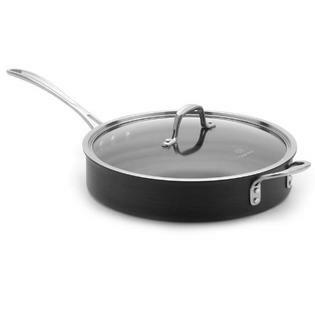 Thanks Mom and Dad, for the really nice pan. I then chop up a medium onion and get a handful of wonderful marjoram from the garden. Flip the livers and throw a large pat of butter in the pan. When the butter melts and starts sizzling, put the onions in and flip them around so they don’t burn. 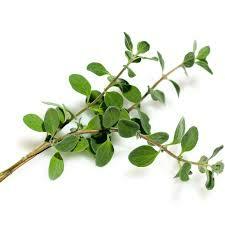 Add the chopped marjoram and some dry thyme and turn the flame down and put the lid on. Now mix the bloody flour with water till it becomes a viscous paste. The livers should be browned and firm and the onions transparent. Pour the flour water into the pan. Cook covered for a few minutes over low heat and then add a liberal splash of dry vermouth. If the gravy looks too thick, just ad some water and turn up the heat. Slosh everything around delicately with a spatula and add some sea salt to taste. Let the meal simmer on low heat till it looks right and then let it rest while you rice finishes (this all goes really fast). The meal looks like brown glop with horrible livers and dispiriting brown bits floating in it. It smells like butter, onions, trace elements, and cooked viscera. Sadly I forgot to take a picture before I fell on it and devoured it like a savage—so you can’t see how ugly it looks. Yet, when it comes out right, it is one of my best meals (and I’m a very good chef). 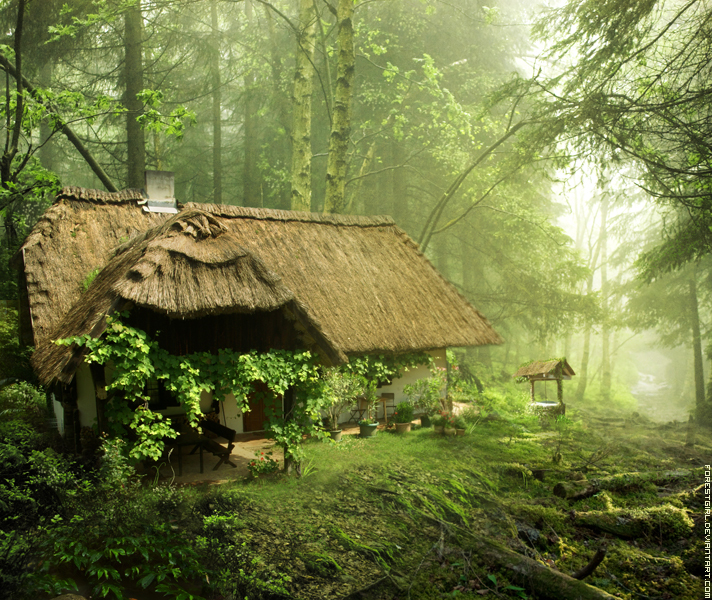 I always imagine it being cooked by some sad scary old French man who lives alone in a forest, but when you get to know him you realize that he is a visionary genius and his horrifying meal is a gourmet treat. This post concerning chicken strayed pretty far from the beaten path, but now you have a gourmet dinner you can make for next to no money! Let me know if anybody makes it! I’m new to food blogging but it seems to be all the rage out there and I thought that this meal fills a peculiar sophisticated/impoverished/delicious niche! 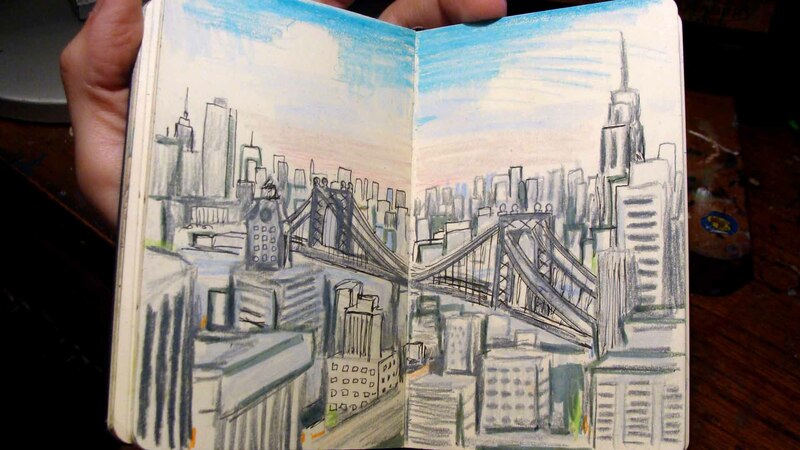 This year, I have been carrying a small sketchbook and some colored pencils around with me and doodling in it. Here are three small drawings/sketches that I made when I was doing other things. 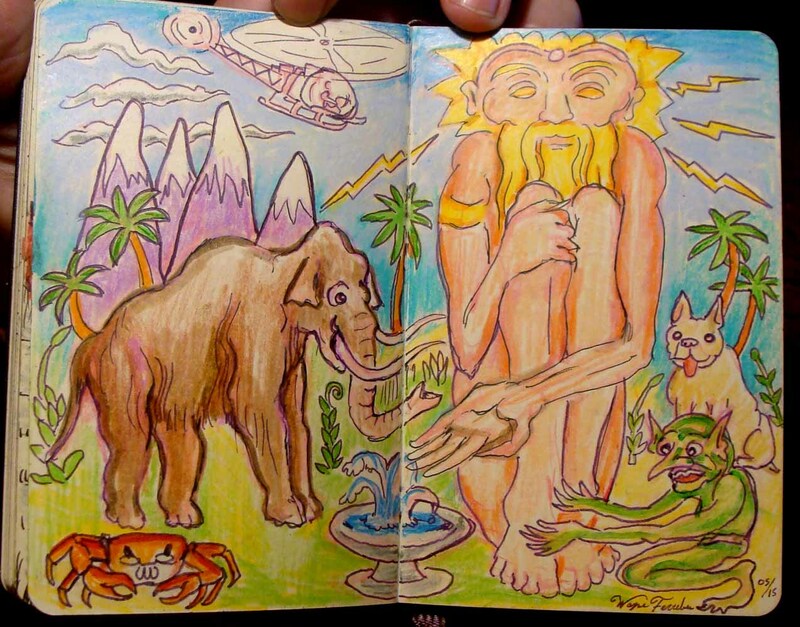 I sketched the mountains with the giant, the fountain, and the goblin on the subway (although I colored some of it in at my desk afterwards). The picture of lower Manhattan comes from the picture window on the 9th floor of the Brooklyn courthouse from my day of jury duty (don’t worry I wasn’t skiving from my civic duty–but there was a lot of downtime). 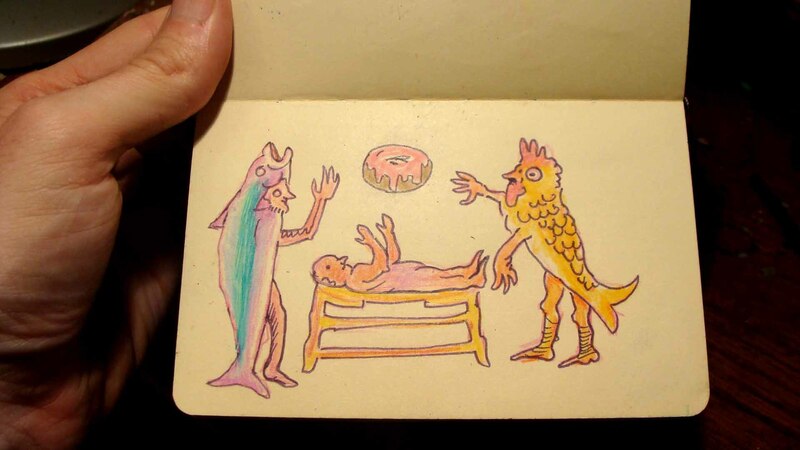 I sketched the donut baby while I was talking to a friend about stickers and Philistines (Biblical and otherwise) so it may have been influenced by that peculiar conversation. Kindly let me know what you think! I’m afraid have been running around trying to figure out my new job, so please forgive me for my tardy responses to comments during the past week. I love comments & I promise I will answer everybody. Just give me a moment to figure out how everything works!